Who Needs Computer Monitoring Software? SpyExtreme is for anyone who owns a computer and needs to protect themselves or those they're responsible for from all forms of cyber-threats. 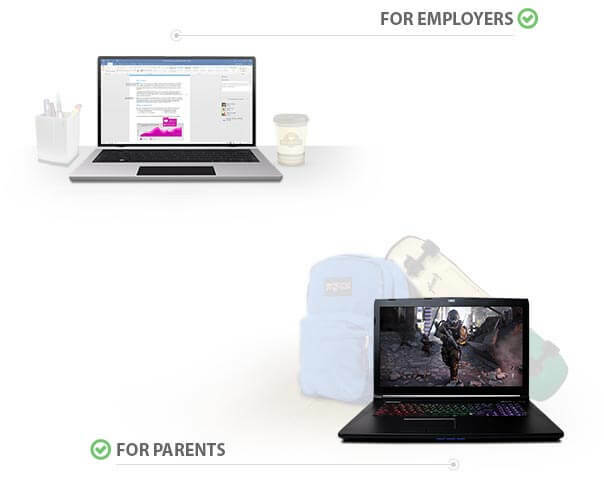 Employers can use SpyExtreme to record keystrokes, track USB connections and monitor employee productivity, browser history, desktop screenshots and emails. You can even monitor network bandwidth and stop potential data breaches before they happen with our file activity tracking features. Parents can use SpyExtreme's complete suite of parental controls to supervise their child's internet activity. Never worry again about what applications they install, what websites they visit or who they chat with on IM or email. You can use our computer monitoring software to monitor and protect your own system when others are using it. Use SpyExtreme computer monitoring software to monitor employees, protect your children from risky behavior or secure your personal computer from unauthorized usage. 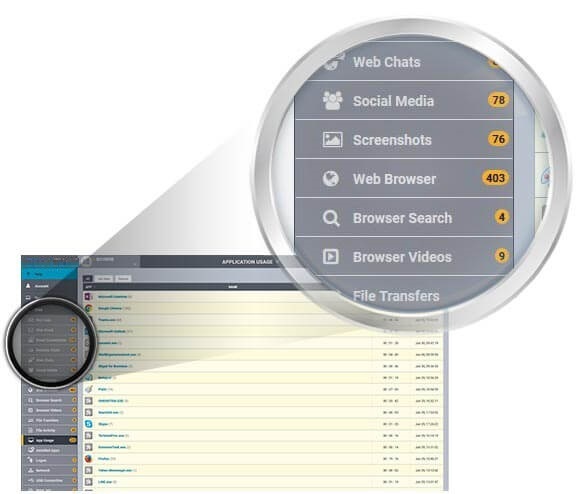 SpyExtreme computer monitoring software is an application that you install on to a PC or Mac to supervise the processes and activities that take place on a particular machine or computer network. Our software provides the best monitoring solution for employers, parents and even personal users who understand the importance of protecting their businesses, personal information and loved ones. With over 40 features - and more being added every day - SpyExtreme gives you more options than any other competitor. What Can SpyExtreme For Computers Do? 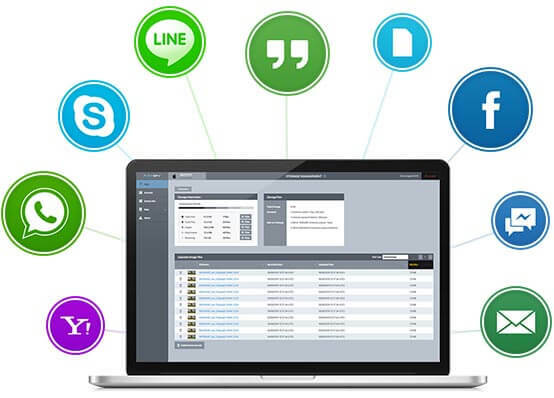 SpyExtreme remotely monitors PC and Mac devices and uploads the data to a convenient online portal. With the world's most powerful computer monitoring software, you get more because SpyExtreme can do more! Once installed, SpyExtreme invisibly monitors the target computer and records everything. The data is uploaded to your online portal where you can view usage and activity reports. Use this information to prevent insider threats, increase employee productivity, back up your data or start a discussion with your children about appropriate online behavior. Our computer monitoring software supports Microsoft Windows 7, 8 & 10 and Mac OS Mavericks, Yosemite, El Capitan and Sierra. Keep track of all computer network connections - including bandwidth usage, user log-ins and even print jobs - that take place. View browsing history and bookmarks, including URLS, date and time of visit, giving full visibility of browsing history. Know when a file was opened, who modified it and where it was sent with our file transfer and activity tracking feature. OneTech Spy Extreme gives you the option to run our software in visible or hidden mode. No other software gives you this flexibility. View all computer activity in your secure online portal or download our first-of-its-kind mobile viewer app for access on the go. Our computer monitoring software is compatible with Mac and PC operating systems, giving you the ability to install on any computer. Our keylogger lets you see everything that’s typed - even if it's deleted. Discover search terms, notes and more. Instantly read all incoming and outgoing emails, as well as the time-stamp and contact details of the sender. Why Is OneTech Spy Extreme The Best Computer Monitoring Software? More Features. OneTech Spy Extreme for Computers offers 40+ features - many of which cannot be found anywhere else. OneTech Spy Extreme gives you information, insights and clues that no one else can. Easy Access. View your data with any computer browser or on our unique mobile app. Simply log in to your portal and see all the information captured from the monitored computer. Unrivaled Customer Support. OneTech Spy Extreme has 24x7 customer support, so you can be sure your questions will be answered - no matter when or where. Multi-device Support. Monitor mobiles, tablets and computers seamlessly from one portal. Move licenses instantly across devices anytime during the subscription period.